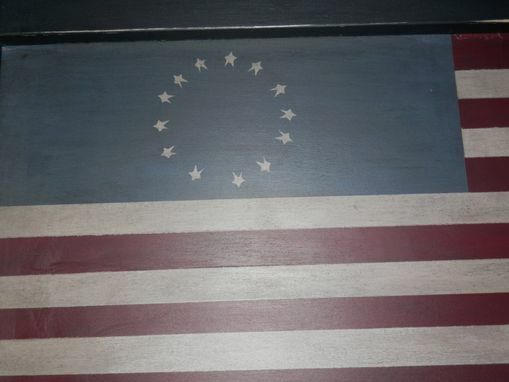 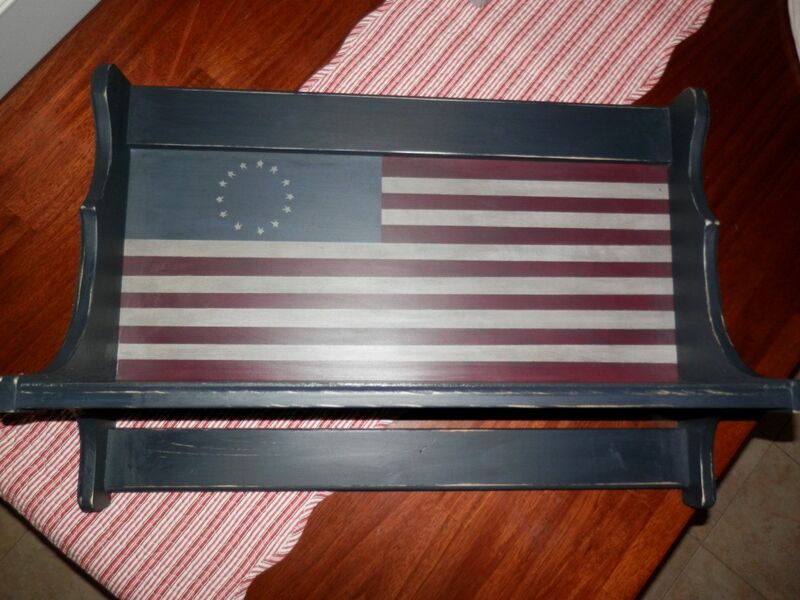 2 Ft.Tavern Shelf with American flag hand painted on. 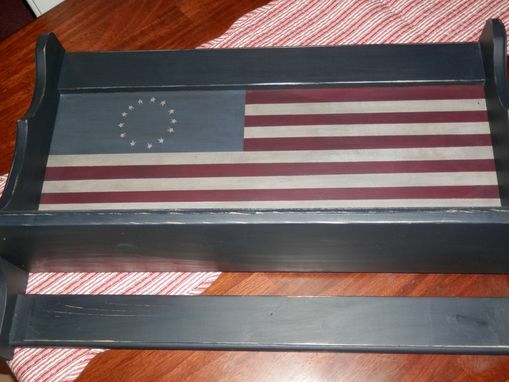 Measures 2 ft. by 17 1/2 inches tall and 7 1/4 inches deep. 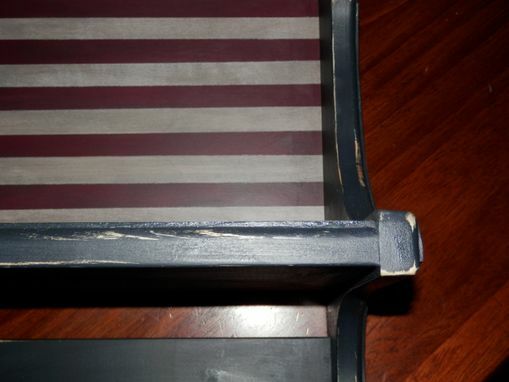 Shown painted black with the flag and then sanded back for a nice distressed look.